If you have decided to take the plunge and hire remote workers to help you grow your business, it’s essential that you ensure you are managing them correctly. Just because you are paying a quarter of the price per hour for local staff does not mean you don’t need to be on top of what they are doing. If the work takes 4 times as long to complete you have lost all of the benefit of hiring remotely. These tips can help you effectively manage and support your remote employees. Set up a shareable daily work log your remote workers can use to report their progress on ongoing projects (Google Drive offers some good options). Utilize a project management system to exchange messages, assign tasks and monitor projects rather than relying solely on email. Determine key indicators for success for each remote worker and share these indicators with your employees (these might be daily, weekly or monthly goals). Conduct regular reviews with remote workers to assess their performance. Positive work culture and employee engagement are quickly becoming top priorities for business managers who want to retain top talent. These tips will help your remote workers feel just as valued and validated as your in-house team. If your in-house workers enjoy a monthly pizza party, don’t forget to include your remote workers. Invite them to attend, have a meal delivered to them or offer a gift certificate to a favorite restaurant. Get to know and spend time with your remote workers, just as you would with in-house staff. Set aside a few moments each day to inquire about their families, personal interests, recent challenges and successes. Consider pairing up remote workers to complete complex tasks. You’ll improve efficiency while helping remote workers feel like part of the team. Ready to enjoy the benefits of remote staff? If the benefits of remote workers outweigh the risks in your view, try offering your staff a work day from home a week – then, if it works out, you can try hiring remote employees. Some small business owners hire a remote employee in another region – a great way to expand their market. If you trust your employees to work hard no matter where they’re located, the main thing to remember is fostering teamwork. 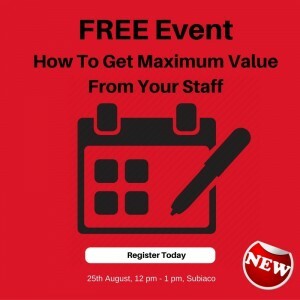 A monthly on-site meeting that everyone is required to attend can encourage stronger relationships, allow opportunities to clear the air or discuss any challenges – and improve a sense of teamwork and camaraderie. Your business performance is made up of so many different elements. 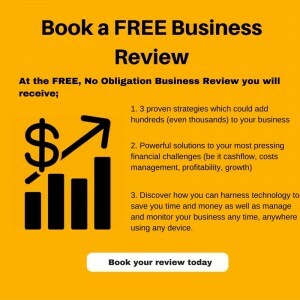 If you are looking for a business accountant who will take account of all your different business elements and help you drive your business forward, speak to us today for a FREE No obligation Review. 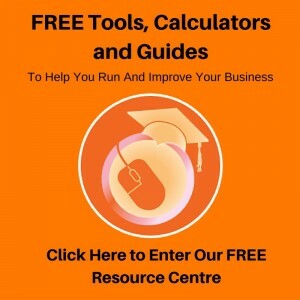 You will also find so great tools, guides and calculators on our FREE resources page click here to check it out.